I have been obsessed with the Marsala colour tone, but it not enough. 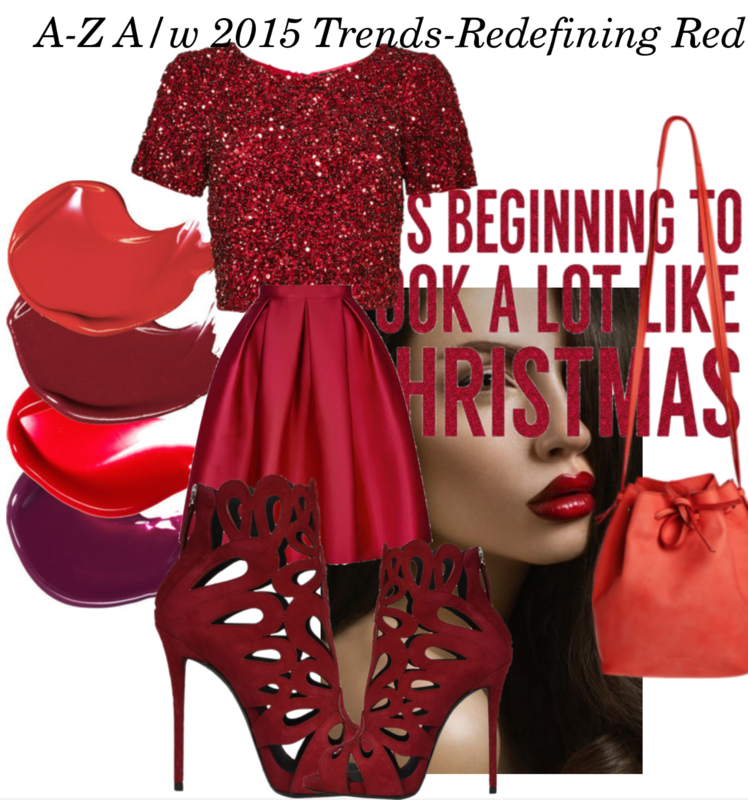 Yes Red is very sessional and with Christmas just 33 days away this is a good time to talk all things Red. I would definitely experiment with different shades of red crimson, ruby, wine red etc and style this look as follows.